CASALE CARLO is 240 sq.m. is a typical Umbrian farmhouse on the banks of the River Tiber just a stones throw from the medieval town of Todi. The main property is on two floors and on the ground floor there is a shop with a bathroom, a changing room, a storage room and a pantry, there is also a cellar and several storage rooms. The first floor is reached by an external staircase where there is a kitchen with fan open fireplace, a living room, three bedrooms and a bathroom. As well as the main farmhouse there is an old tobacco dryer which would be ideal to convert into rental accommodation. There is already a redevelopment project to develop six bedrooms with an en-suite bathroom. 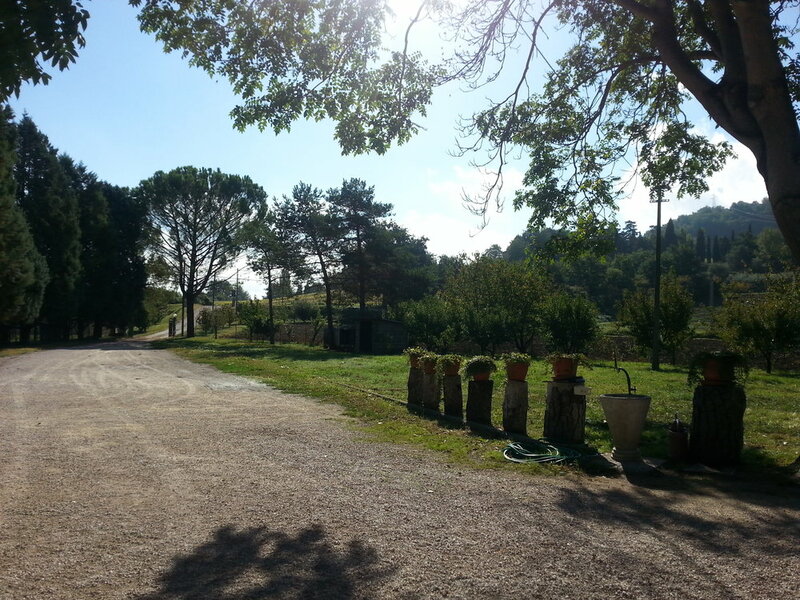 The buildings are surrounded by a 3,000 sqm fenced in area and has a 2 hectare plot of arable land with fruit trees. All the local amenities are within walking distance and medieval towns such as Amelia, Orvieto, Assisi, Norcia, Perugia, Spoleto, The Marmore Waterfalls in Terni and The Trasimeno Lake are also within easy reach. Both the International airports in Rome are about an hour and a half away and Perugia airport is only 30 minutes away.